Edogites in quartzo-feldspathic gneisses of Nordfjord are similar to the oceanic tholeiites in their low content of titanium, ferric iron, potassium, and phosphorus. The chemical composition of the eclogites varies, however, within wide limits, and it is probable that alterations of bulk chemical compositions have taken place if the eclogites were indeed formed by transformations from other basic rocks. The garnets contain 36-50% Alm, 0.4-1.9% Spess, 23-43% Py, 0.3-2.1% And, and 13-25% Gross. Clinopyroxenes contain 3-9% Ac, 23-42% Jd, 8-13% Tsch, 3-7% Hd, and 38-56% Di. Titanium, nickel, chromium, and strontium are concentrated in dinopyroxene relative to garnet, while cobalt, manganese, scandium, and zirconium are relatively concentrated in garnet. 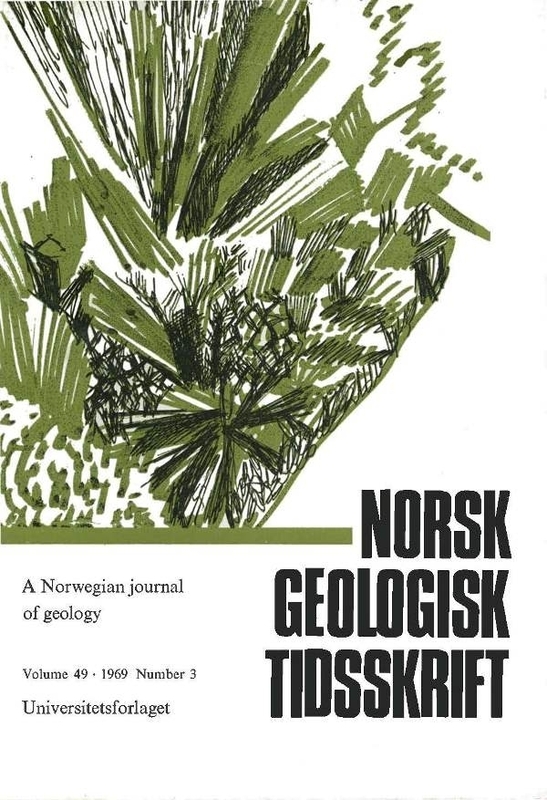 Eclogites from gneiss of Nordfjord differ from the eclogites endosed in ultrabasites of Sunnmöre both in bulk chemistry, composition of garnet and clinopyroxene, and in the partition of elements between garnet and dinopyroxene. The ultrabashes occur in tectonised zones and might represent rocks which are tectonically emplaced, but the eclogites enclosed in gneiss are likely to be original crustal rocks. They occur as disrupted layers or boudins in paragneiss in harmony with a formation from dry basic igneous and sedimentary rocks endosed in a thick geosynclinal pile of supracrustals which were rapidly buckled down to great depths and metamorphosed there. Elements that could not easily be accommodated in the eclogite minerals during their formation were probably expelled from the system.